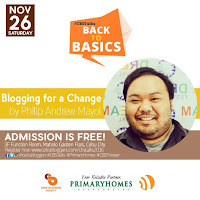 It's Now or Never (N/N) it is something I have in mind and blogging was one of them, though it may not be the platform I thought I wanted to, but I ended up on blogging. 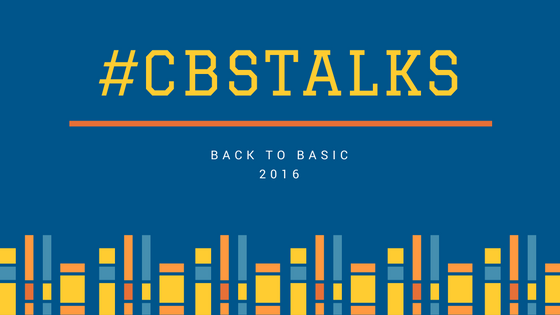 I had my first blog during my high school years, I remember I made a summary of the TV Series that I watched and became a part a forum too, and I had many blogs to date but none had existed too long. 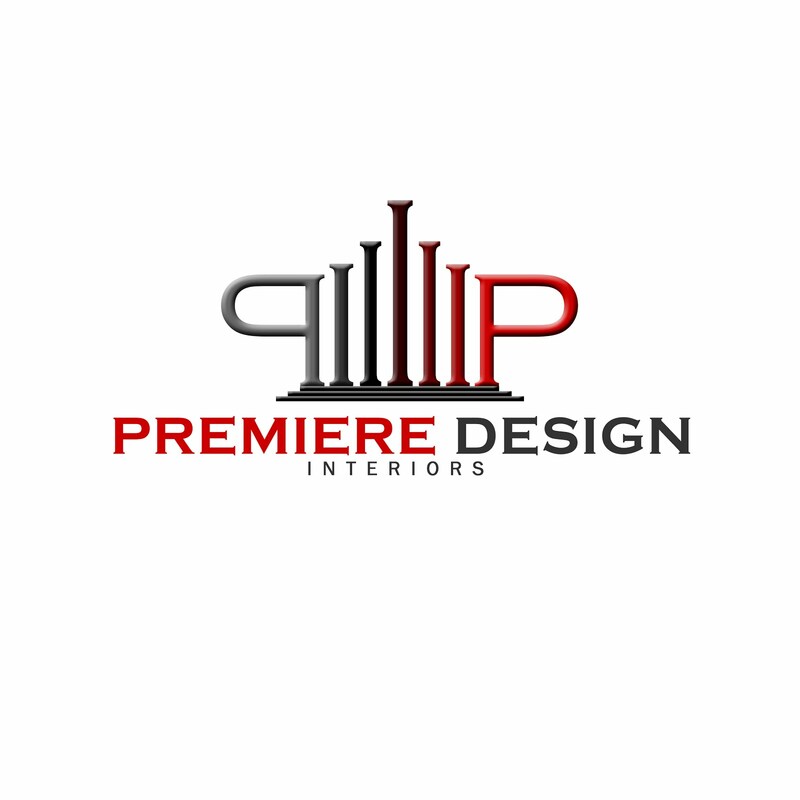 These blogs, I was saying was long deleted and that I'm back again, this time with a niche, that I know of, Interior Design and Lifestyle. 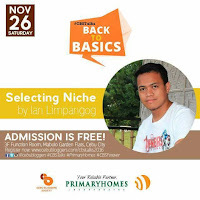 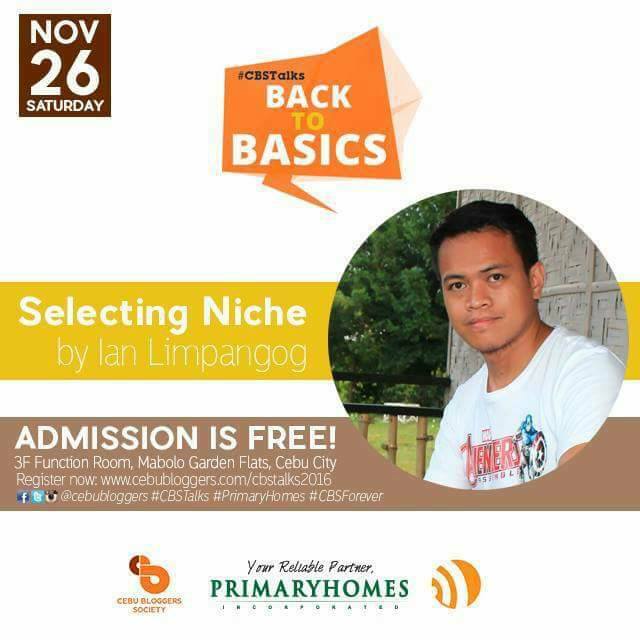 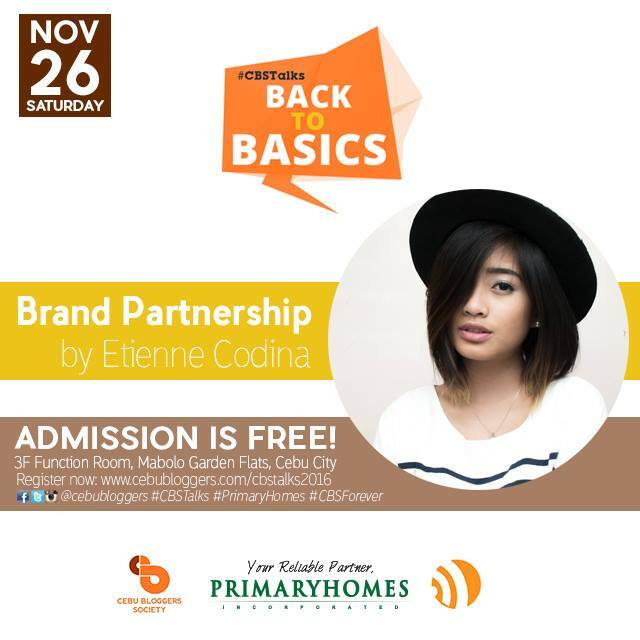 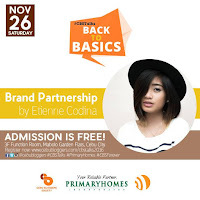 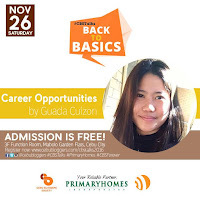 During the Event proper of CBS Talks back to basic; last November 26, 2016 held at Primary Homes Mabolo Garden Flats; I would say it was Five thumbs up, I didn't expect to have that seat till the end but I did. They had a reliable speakers who were successful in running their blog and has done their best to encourage and be an inspiration to those who are Aspiring, New and Currently running their blog. 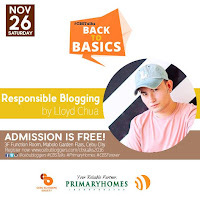 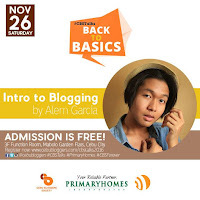 To be part of this event answered my questions that I have been reading over the net for the last few months, My Five Hour Stay was worth every second of it as they tackled the following Topics: Intro to Blogging (Alem Garcia) Selecting Niche (Ian Limpangong) Responsible Blogging (Llyod Chua) Blogging Benefis (Mark Monta) Blogging for a Change (Philip Andrew Mayol) Brand Partnership (Etienne Codina) Inspirational Keynote (Miguel Gee Abas Jr.) Career Opportunities (Gauda Guizon). 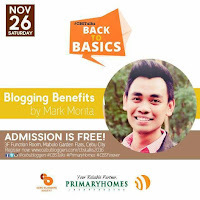 The event gave me so much light on the things I wanted to know, they are my google as of that moment with precise example and meaningful insights of blogging.I would say I was a successful event, It was a learning experience coming from them to hear and see them share their knowledge and to inspire one another. 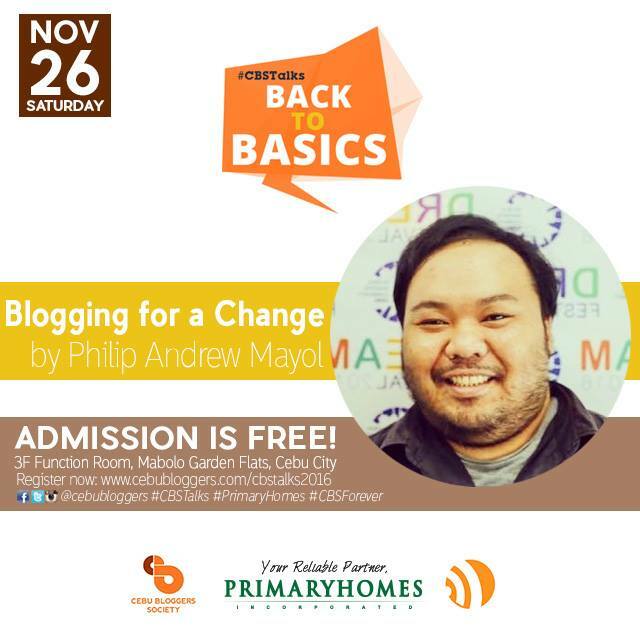 In which I look forward to be part of once again.